This quirky slice of life novel is so good I never wanted it to end. 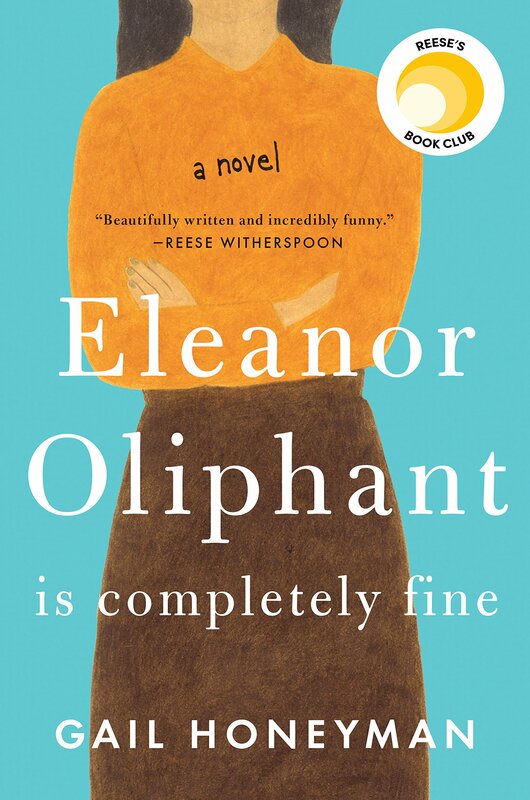 Eleanor Oliphant is Scottish and the woman no one wants to be: socially awkward, dowdy, unsuccessful and all alone. At first, it’s hard to like her because Eleanor is very set in her ways and more than a little judgmental. She spends her time working, avoiding human contact outside the office, chatting with her mother on the phone once a week and getting blitzed on vodka every weekend. But when glimpses of her deeply troubled childhood begin to surface, it’s hard not to respect the fact that she’s somehow managed to survive. Enter Raymond, the office IT guy who’s far from handsome, but has a heart of gold. Raymond seems to have no problem overlooking Eleanor’s weird behavior and it isn’t long before association with him has her reaching for a different kind of life. This book is exceptionally well written, the Glasgow setting giving it an added element of charm. I found myself rooting for Eleanor hard and did not see the twist coming at the end of the book at all. Highly recommend. I enjoyed this book too. I laughed so much at her interaction at the nail salon. She said what we probably have all thought at one time or another!